Ever seen movies like “No Retreat, No Surrender” (1, 2 and 3), “King of The Kickboxers” and “Bloodmoon“? Didn’t you just relish those movies as a teen and youngster for their fun, fresh, exciting, blistering action and stand out fight scenes along with the hilarious, tongue in cheek dialogue? Well, they were written by award winning scriptwriter and karate blackbelt Keith Strandberg. Highly respected and an International Martial Arts Hall of Famer, Keith has 11 produced features along with other projects in development. His illustrious career has seen him work with some of the biggest and best names in the industry, from famed action director Corey Yuen to a whole host of action stars such as Benny ‘The Jet’ Urquidez, Jean-Claude Van Damme, Keith Vitali, Cynthia Rothrock, Billy Blanks, Gary Daniels, Darren Shahlavi, Chuck Jeffreys and many more! He is also the co-founder and chief instructor of the Action Film Camp and teaches students what he has learned over his years in making action films. 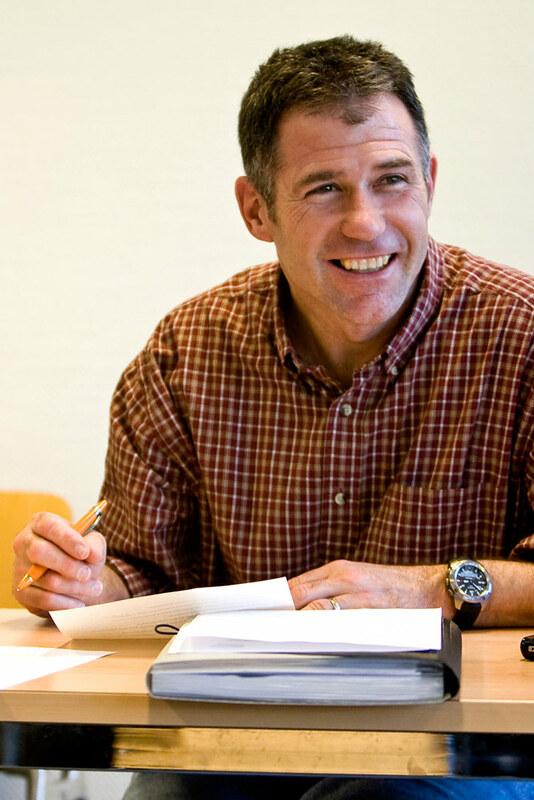 Among his many other talents and wide, diverse interests, Keith is an avid sportsman, enjoys learning languages, global travel, teaching and even has expertise in fine watches. Now, we’re very privileged to bring you an interview with the man himself, where he talks with us about his story and how it all started, his experience in the arts, a special focus on ‘How to succeed being a scriptwriter’, actually writing films as well as movie making, and much more, so please let’s welcome Keith Strandberg! Raj: Hi Keith great to have you with us, we’d just like to say welcome to Kung Fu Kingdom and thanks for taking some time out to share with us! Keith: Thank you Raj, and great to connect with you guys! So, let’s lay out some basics, when and where were you born? I was born in Toledo, Ohio, USA on 21st August, 1957. I was 14 years old and an Isshinryu Karate club was formed at my high school. I was intrigued by the martial arts, having seen “Five Fingers of Death” and many other Kung Fu movies, so I signed up and fell in love with it. I was going through a tough time at home, my parents were divorcing, so the martial arts really helped me forget about these troubles. Also, my older brother would always pick on me (he used to love to sit on my arms with his knees and spit in my face), so I figured learning how to fight couldn’t hurt. I have been training in the martial arts for (gulp!) 43 years. As mentioned, I started in Isshinryu Karate an Okinawan style, in which I am a first degree black belt. I have trained in a bunch of different styles, from Taekwondo to Aikido, and today I still spar once a week with a fellow black belt, Yvan Arpa, here in Switzerland. Who would you credit as having most influenced you in the martial arts? Who were your teachers? I would have to say three people – first, my first instructor, Wayne Welling, who started that club at my high school. Then, Mark Kramer became my training partner in Toledo, Ohio and he really made me tough. Finally, Bruce Lee was a huge influence. I had a poster of him from “Enter the Dragon” on the wall in my house where I trained. Who else would you describe as some of your heroes or inspirational figures in the martial arts? Bruce Lee, as mentioned above and the early champions of tournament karate: Chuck Norris, Joe Hess, Billy Blanks, Cynthia Rothrock. Funny, I got to meet pretty much everyone except for Bruce Lee, and these true masters never let me down. I was lucky enough to become good friends with Joe Hess, Billy Blanks and Cynthia, as well as Keith Vitali. Could you tell us briefly how you got started as a screenwriter? I was working as a writer for a bunch of martial arts magazines like Black Belt, Karate Illustrated, Fighting Stars, etc., and was getting a bit of a name in those circles. I was also working as a tour director to mainland China (I speak, read and write Mandarin, Chinese). I did a total of nine tours, taking groups of Americans through China. This was back in 1983, when you couldn’t travel to China as an individual, you had to go on a tour. While I was between tours in Hong Kong, I contacted a number of Hong Kong production companies (like Shaw Brothers, Golden Harvest, etc.) 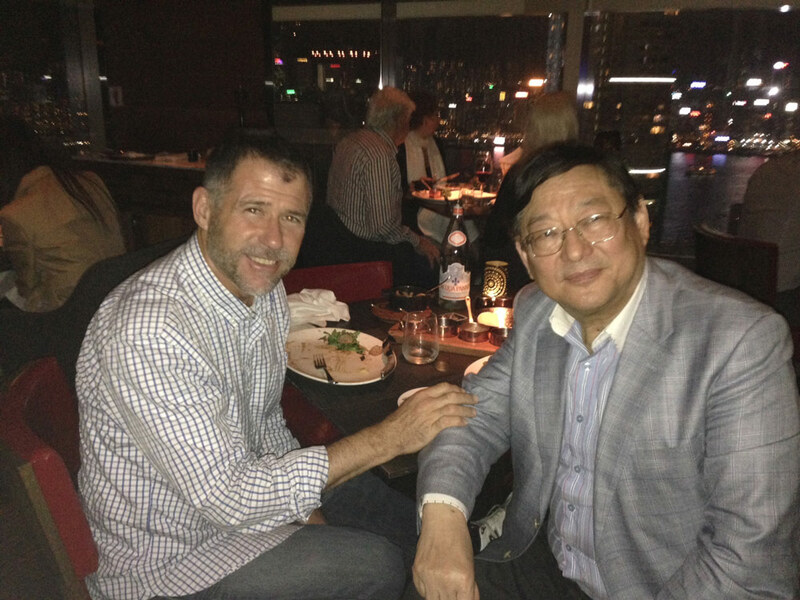 to discuss working together to make an American-Hong Kong action film. Nobody gave me the time of day, but when I called Seasonal Films, I was fortunate enough to catch Ng See Yuen in the office, and starting speaking Mandarin to him (I had done my research and knew he was from Shanghai). He invited me over to his office and we spent the afternoon talking about movies, looking at his films and we got along great. By the end of my stay in Hong Kong, he told me that if he decided to do an American film, he’d have me write it. About a year later, I was working at a fitness center, teaching martial arts, tennis and more, when he called me and asked me to go to Hong Kong to work on a film. That film was “No Retreat No Surrender.” I didn’t know much about screenwriting, but I learned on the job. My first draft of NRNS (then called “Ring of Truth”) was 180 pages (it should have been 90 pages, max). Luckily, I was on the set while we made it and I worked with the director to cut it and rewrite it, and I saw what worked and what didn’t. It was an invaluable learning experience. How does writing a martial arts film differ from writing the screenplay for different genre films? Writing a martial arts film is pretty formulaic – you need a certain amount of action to satisfy the audience. With a screenplay for other genres, there are other things that are expected in the script. You currently teach film courses at Webster University in Geneva, Switzerland. How did you first become a professor at the university? I decided to get my masters in film and screenwriting from Antioch University, and part of my program was to do 30 hours of supervised teaching. During this, I contacted Towson University (in Maryland) to do some teaching and they offered me a position as soon as I got my degree. I only teach two courses once a week at Webster, but it keeps me involved, working with young people, seeing what they are into and what ideas they come up with. I really enjoy it. I teach journalism, screenwriting, film production and more. 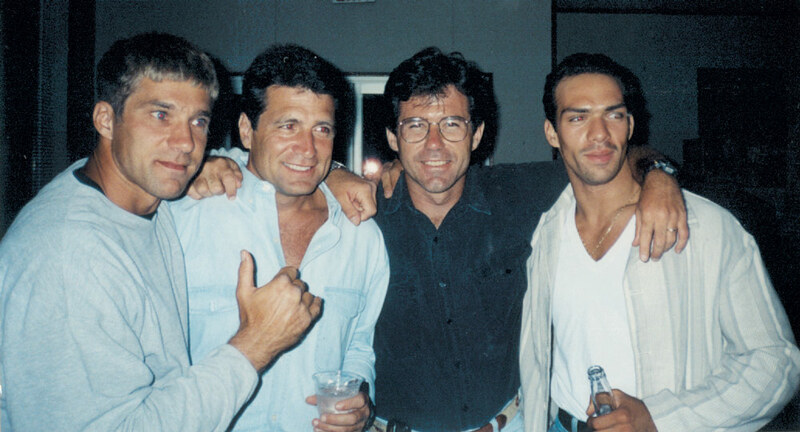 You’ve worked with some of the industry’s top names such as Jean Claude Van Damme, Cynthia Rothrock, Gary Daniels, Loren Avedon, Keith Vitali, could you relate a couple of memorable experiences? I guess I was, in a way, responsible for Jean Claude Van Damme being in NRNS. We had an open call for fighters and we had so many people in the line outside that Ng See Yuen, the producer, sent me outside to pick the people I thought would work for the fighter roles and bring them inside. Van Damme was one of the ones I picked. What was an interesting thing, maybe a funny or unpredictable or cool thing that happened on the set of NRNS? While we were filming NRNS, we had a scene were Van Damme fought Pete “Sugarfoot” Cunningham, a middleweight fighter who had never been knocked out. Van Damme not only knocked him out cold, he did it twice! The first time, Van Damme did a spinning kick and caught him in the head, knocking him out, then instead of waiting for “cut,” he went to try to help him, ruining the shot, and meaning that we would have to shoot it again. We did the next take and, sure enough, he knocked him out again. This time, nobody moved until “cut” was called! There are currently rumours online of a sequel to “Bloodmoon” it be on the way anytime in the near future – if so, what could fans expect (presumably the return of Gary Daniels, Darren and Chuck Jeffreys)? I am working on it now. The challenge is that we killed off Darren’s character at the end of the first one (or did we?). I think it would be great to see it. With the huge worldwide interest in MMA and UFC, would your next action projects have a bigger focus on MMA and the like? I don’t particularly like MMA and UFC, because there is so much grappling and often the audience doesn’t really understand what is happening while they are on the ground. Action movies are about kicking, punching, knock outs – big, beautiful actions and even though MMA is extremely effective, it’s not particularly cinematic. From your own movies, please name some of your favorite fight scenes overall, and why? One of my favorites is the scene from King of the Kickboxers where Prang helps Loren’s character, fighting the bad guys. Keith Hirabayashi Cooke, who played Prang, is an incredible fighter and Yuen Kuai (Corey Yuen) used his skills to the very best advantage in this scene. It was shot very quickly, but it is so powerful. It has been named one of the best fight scenes ever filmed. I also loved the end fight of the original NRNS. It was just man on man, no CGI, no tricks and Kurt McKinney (playing Jason Stillwell) is so good in it, as is Van Damme. From “King of the Kickboxers”, I loved the end fight, but it took forever to film. A funny story from that; I had to leave for one day during the filming of KOTK and they were filming the scene where an actor gets killed during a movie shoot. They changed a punch that connects in the script to a knife that cuts the actor, but no one changed the line. So when the actor gets cut, he still says, “Hey, you really HIT me!” That’s why I can never leave the set! Who do you most admire in the martial arts movie industry? Bruce Lee, Jackie Chan, Chuck Norris, Chuck Jeffreys, Cynthia Rothrock. Really, anyone who has had success, because the industry is so hard. What are Keith Strandberg’s top kung-fu/martial arts movies of all time? Battle Creek Brawl – a guilty pleasure but I think Jackie Chan is brilliant in this. Five Fingers of Death – the first martial arts movie I ever saw, Billy Jack doesn’t age well, but it had a real impact on me when I was young. Above the Law – I’m not a fan of Steven Seagal, but this is a solid movie. Taken – though not technically a martial arts movie, the fights were great. I’d love to work with Jackie Chan. He is a friend of Ng’s, so I have met him a couple of times, but never had the chance to work with him, so that would be an honor. How many times have you been in front of the camera, would you want a starring role? I have been in all my films, just cameos. I prefer to be behind the camera and would never want a starring role, I don’t think I’d be any good. My lowlight in front of the camera was in NRNS, when I was in the group of thugs who fought Kurt McKinney outside the bar. I turned the wrong way when Kurt ‘kicked’ me in the face and I could never live that down with the fight choreographer and stuntmen! I also put my sons in the films as well. My oldest son, Kalen, is working in Hollywood now, focusing on post production. When my next film gets off the ground, we’re going to work on it together. Creating movies can be a most rewarding experience, albeit a time consuming one; can you describe the steps involved in writing, selling and producing the script? Well, before I start writing, I usually have the idea sold, so I am not really writing a “spec” (speculation) script. I don’t have the time to write based just on interest, I have to have a commitment before I begin writing. I have written some spec scripts and won some contests with them, but it’s hard to sell them. So, I am usually working on assignment when I write a script, so there is a better chance that it will get made, before someone has already invested some money in the process. Once it’s written, I hire actors to read through it, listening to it, making sure it’s as close to perfect as it can be, then I have script meetings with the producers, listen to their notes, then do a rewrite. Then I have another table read, more meetings with the producers, then we go into pre-production. Once all the actors are hired, we do another table read so I can hear the real actors and how they sound reading the dialogue, and I continue to make tweaks and improvements all along the way. The one thing I don’t do is let actors change the dialogue – I listen to their ideas, but usually say no. After all, I have been working on the script for up to six months or more. Only very rarely do I let anyone change the lines. How good does a script have to be before you take it to market? Does it have to be perfect? What do you think action studios are looking for nowadays compared to the action hey days of the 80’s? I think action studios are looking for unique, innovative stories. I think the days of action for action’s sake are long gone. The projects that succeed have to be different from everything else and have a great cast, great fights, great acting, and great production value. That’s always a compromise when you make a film – do you take the better actor or the better fighter? If the actor can’t really fight, it’s going to be a nightmare come the fight scenes and the audience probably won’t buy it. If the fighter can’t act, however, that’s also a nightmare! How long does it take you to write a movie or how long typically did it take you before? I just finished a script for a producer, this is in pre-production now, and it took about six months from start to finish. I once bet myself that I could write a script on the flight from New York to Cannes, and I did, but it was horrible. Scripts take time to ferment. What in your view makes a good script that sells? What makes a poor script? I think it’s easier to spot problems in scripts and projects, but making a good movie is so hard. No one sets out to make bad movies, everyone is trying to make the best movie they can, with varying degrees of success. I don’t think I’ve made great movies, but I know we all tried as hard as we could to make it fun and entertaining. Most often, poor scripts don’t have enough interesting or believable characters. For a script, and a movie, to work, I think the characters have to feel real, and the audience/reader has to care about them. Too often, the story drives the movie and the characters are just doing things because the story needs for them to do them. In the best movies, the characters do and say things and they are natural things for the characters to do and say. I tell my students that if you can switch the dialogue around between characters and it still works fine, then you have a problem with your characters. What are Keith Strandberg’s top 3 tips for success in script writing? Read as many scripts as you can, and as many books on screenwriting. So much of what makes a professional script is technique (format, structure, etc.) that you really need to learn as much as you can before you even begin. Know your characters. For every screenplay, I do detailed character biographies so I can make the characters as real as possible. Believe in your story and make the conflict as big as you can. For aspiring script writers reading this, what’s one tip you use to overcome writer’s block? How do you keep the creative juices flowing? What other advice would you give? My trick to overcoming writer’s block is that I don’t believe it exists. I refuse to admit it’s possible. Also, I have so many projects going at the same time, if something isn’t flowing, I work on something else. I also think that doing something physical really works for me. If I am stuck on something, I go hit the bag, or I go for a run or a bike ride, or I take off on my motorcycle. That usually does the trick. What’s the most difficult or daring stunt/move you’d ever written into a script? How did it compare with being performed for the movie in real life, were you satisfied with it? In “Bloodmoon”, the director wanted Chuck’s character to slide his motorcycle under a moving truck as he was hurrying to get to the scene of a murder. 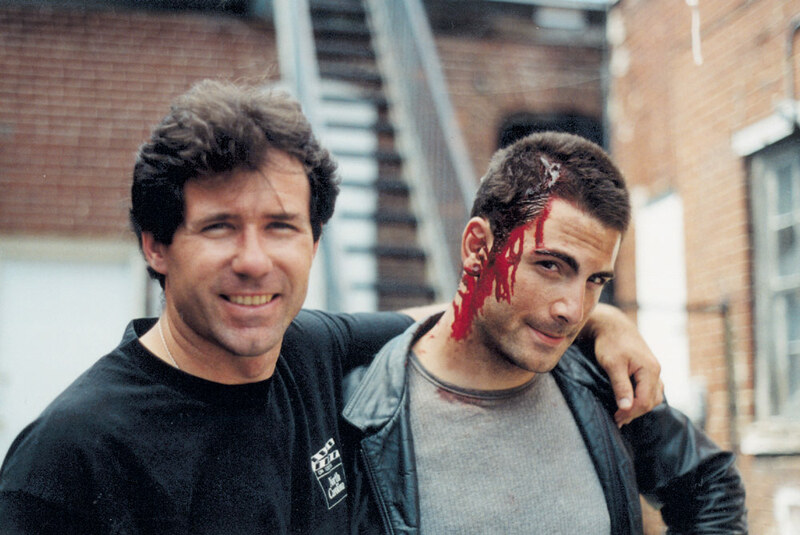 On the backlot at Carolco Studios in Wilmington, NC, we set it up and tried it several times without a rider, but each time the bike caught on bumps in the payment and slammed into the undercarriage of the truck, which would have killed the stuntman. So, we had to change the scene and have him slide to a stop as the truck passes, then carry on. The slide would have been very cool, but it was impossible to do. 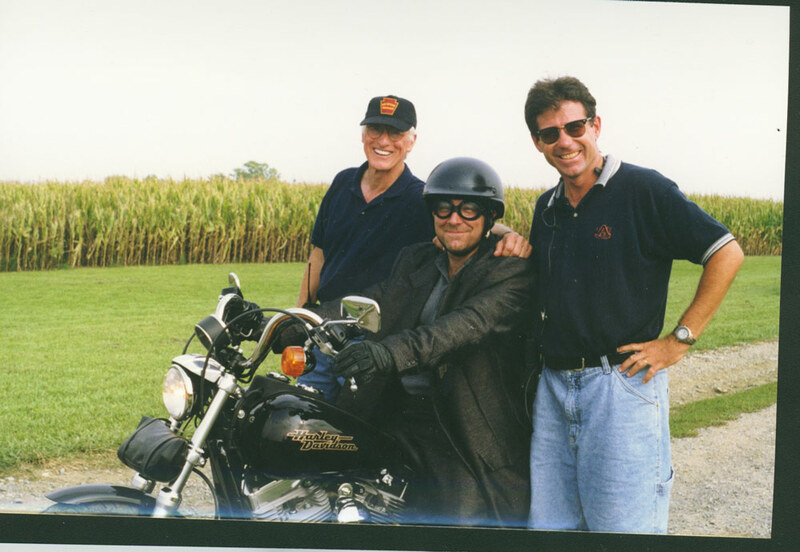 On another show, “Thomas and the Magic Railroad,” I was the production manager and they wanted to do a motorcycle stunt where the rider would cross just in front of a moving train. I hired a stuntman, a friend of mine named Mike Jones, and we started to lay out the stunt. My concern was that if Mike had any problems, could the train stop in time? I went to Linn Moedinger, the head of the railroad, and asked him how long it would take the train to stop if Mike fell on the tracks or something, and he said, “Half a mile.” We didn’t do the stunt in one shot, instead we did it in a couple of cutaways and it worked fine. What kind of diet do you follow? Which foods do you find work for you to remain at your most energetic, best fuel for your work and physical training? I don’t really follow a diet so much as try to eat sensibly and everything in moderation. For the longest time, I was about 200 lbs (90 kgs) and it was slowing me down and having an impact on my knees. So, I resolved to lose weight and am down to 80 kgs (177 lbs) and feel much better. 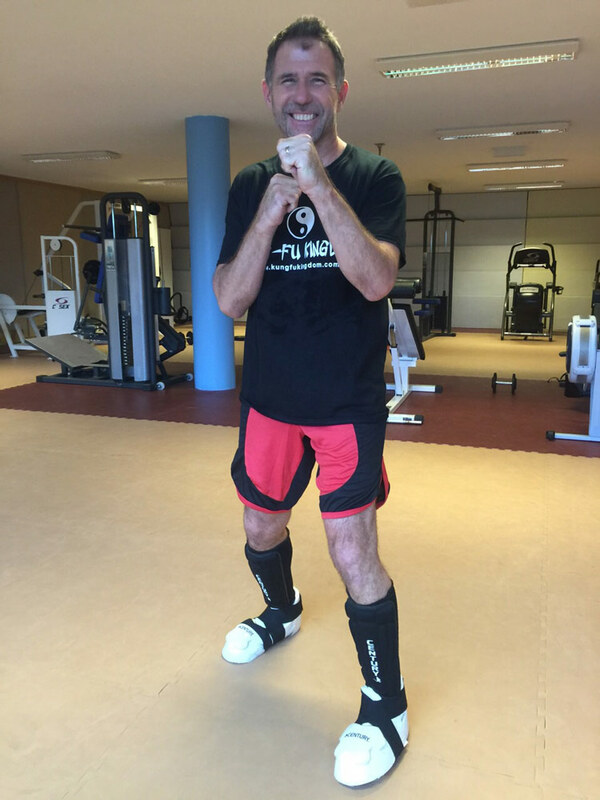 I’m faster, stronger and a better fighter and football player. What do you like to do to recover from a particularly strenuous period of physical activity? What do you recommend for those leading an especially physical and/or demanding lifestyle? I like to ride a recumbent exercise bike. I used to work for a fitness manufacturer and I have one of their exercise bikes in my house, so after a big training session or a long run, I ride the recumbent with little resistance, so I keep the legs moving and get the lactic acid to move. Because my work is so sedentary, I sit and write most of the day, I make it a point to do something active every day, even if it’s just throwing the football with my sons. I am a huge fan of “The Amazing Race.” I think it’s a brilliant show and the character dynamics it shows, based on putting people into extreme circumstances, are riveting. If you could be a superhero, who would you be and what superpower would you most like to possess? I’d be Superman, I think. I would love to fly and have all his powers. If I could only choose one superpower, it would be to fly. I am an avid motorcyclist and contribute to some motorcycle magazines. I recently did an on-road/off-road tour of Zimbabwe, Botswana and South Africa, which was the trip of a lifetime. I also play American Football (I am the captain of a team here in Switzerland, and we have won the Swiss National title four times), tennis, cycling and running. I like a lot of different music, but my favourites are rock and country rock. What are some of your favourite (non martial arts) movies? “The Shawshank Redemption”, “A Few Good Men”, the Bourne trilogy, “Heaven Can Wait”, “Reds”. dislike? People without honour, selfish people, ignorance and stupidity. My three sons. Kalen, Evan and Jake. Kalen and Evan are 31 and 29, respectively, and they are fine young men. Jake is only six, so I am working with him to make sure he is the best young man he can be, like his brothers. I would love to make a few more films, quality films that really get the message of the martial arts out there. I don’t have that much time left on this earth, so I want to make sure the things I work on are worthwhile projects. I am working to get back into the film world, with a few projects, but I want to do the things I want to do. For example, I have been approached to make a number of very low budget movies, but I am past that now. For me to go back into film work, which requires 100% of my attention, I’d have to give up all the other things I am doing (the writing, teaching, etc.) and so it would have to make sense for me. Which warrior-wisdom quotes have shaped you up to this point, have moulded you into who you are today? I had a poster on my wall when I was a kid that had “Can’t” with a line through it, meaning don’t use it. I put a line into “American Shaolin” where Cliff Lenderman’s character says “Can’t doesn’t exist, only won’t.”, and that still drives me today. I have always tried to do my best 100% of the time. I don’t think my movies are great cinema, but we all tried as hard as we could and I hope they have entertained and educated people. I often have people tell me they have watched “No Retreat No Surrender” hundreds of times, and that always makes me smile. No matter what project I am working on, I will always try my hardest. If people would like to find out more about you, where’s the best place to go? Thank you Keith for your kind participation in this stimulating interview. We hope it gives our readers an interesting glimpse into your prolific career behind the camera as well as when it stops rolling. We wish you all the very best for your upcoming projects, keep us in the loop! Thanks Raj and the Kung Fu Kingdom team. It was a real pleasure doing the interview and reliving the good old days. As soon as we start filming the next project, I’ll invite you to the set! Let’s keep in touch.